OH BOY! Where do we begin? We finally had a weekend free to take Belle on her biggest road trip – to San Francisco. 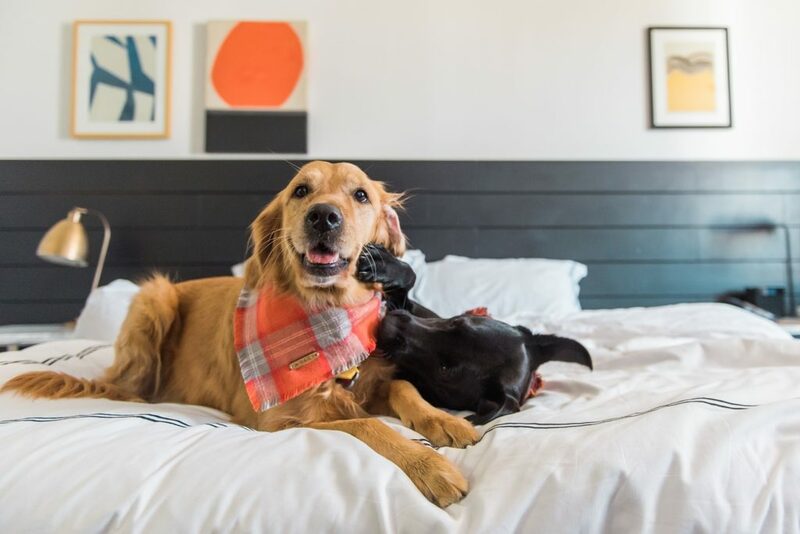 Thanks to our friends at Kimpton Hotels, it makes it so easy for us to travel as one big happy family! It’s been several of years since we’ve visited San Francisco for pleasure, so it was really nice to take a break from shooting and take Bessie and Belle up north for a couple of days. The drive up took almost six hours from Los Angeles with a few potty breaks (pups and hoomans). 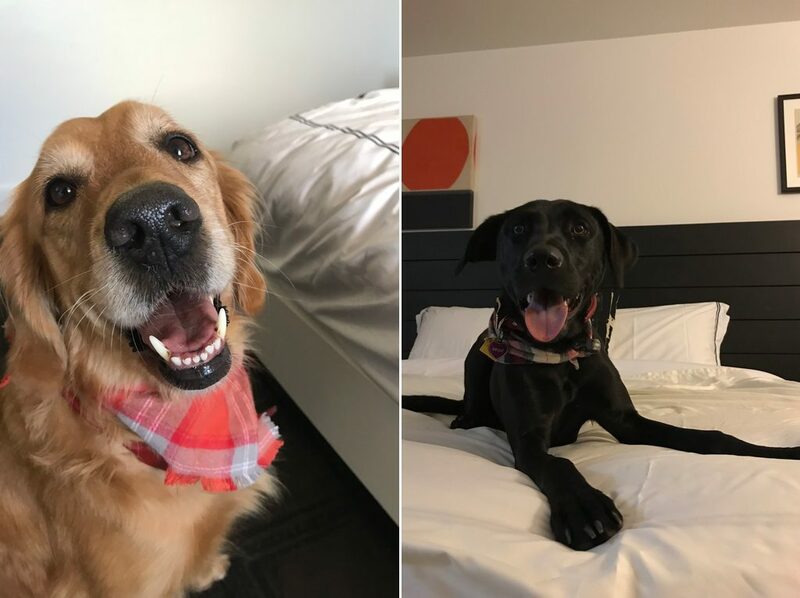 We know that finding a hotel that allows for dogs the size of Bessie and Belle are hard to come by. 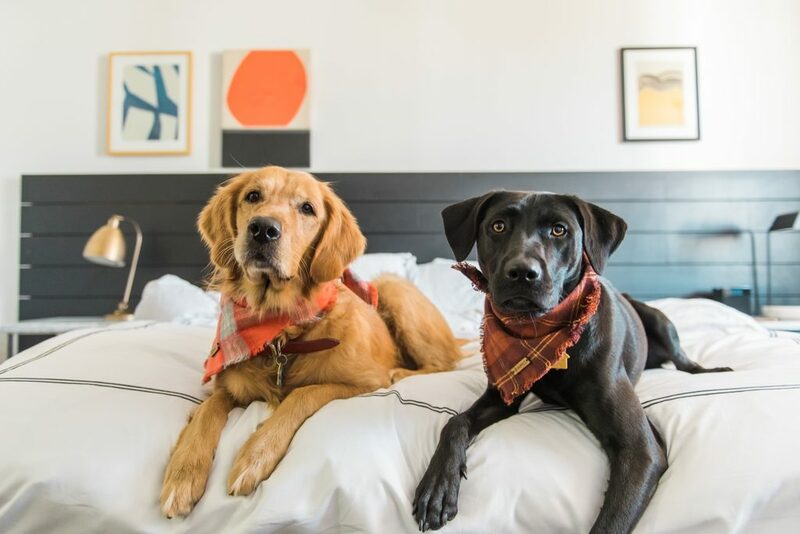 Which is why we were delighted to come across the Kimpton Hotels through our IHG Platinum membership. 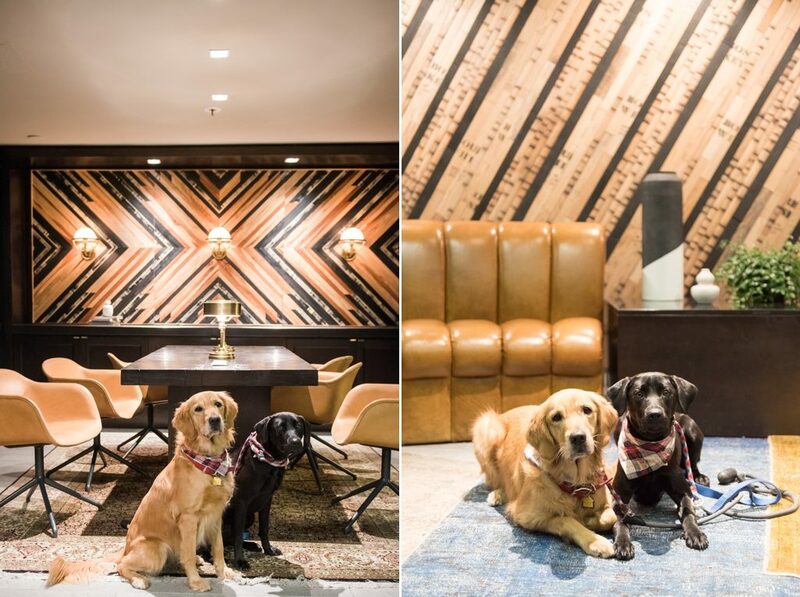 When we learned that their motto was “If your pet fits through the door, we’ll welcome them in,” we were sold! 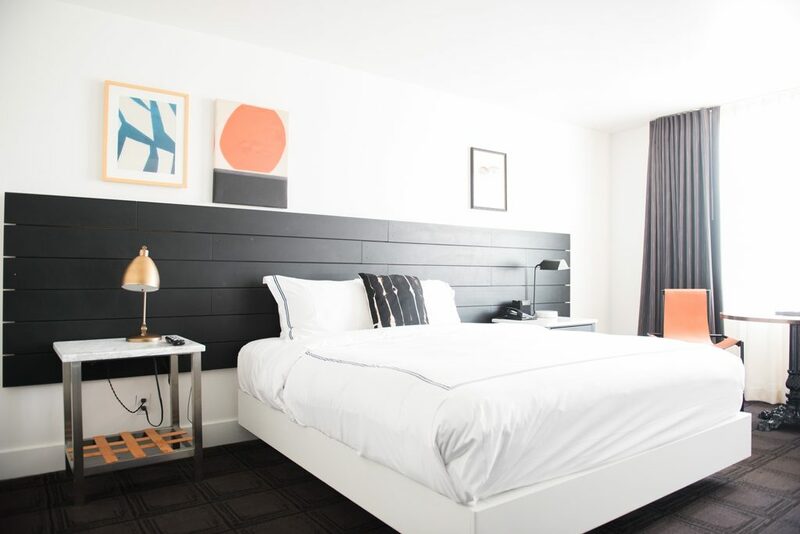 The Kimpton Buchanan is conveniently located in the Japantown section of San Francisco and within walking distance to the Fillmore District and Lower Pacific heights. We loved the little park about a block and a half away that allowed us to relieve the dogs every morning and night. Our room was located on the fifth floor in a Standard King room. The 325 sq. ft. room was spacious enough for two adults and two pups. We loved the modern decor of the room and the small Japanese-esque touches personalizing the room. 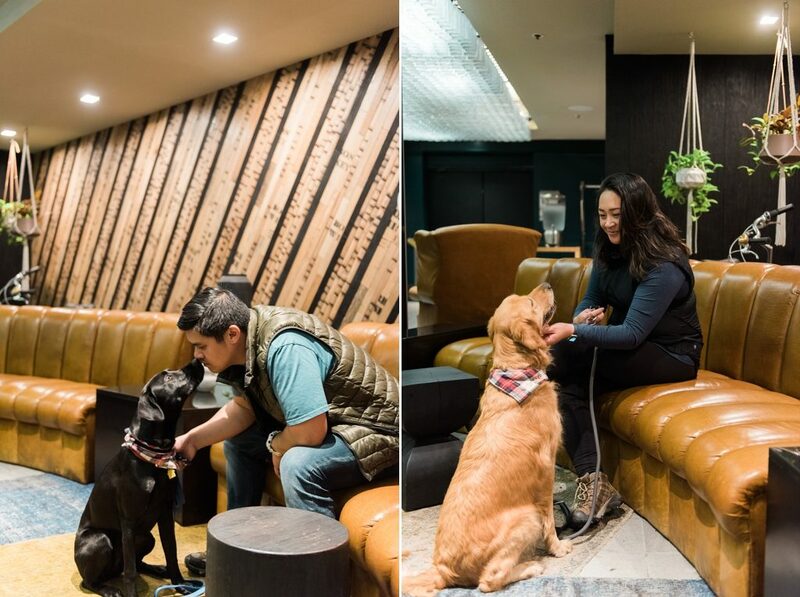 Every evening the hotel hosts a dog-friendly happy hour in the lobby. Unfortunately we weren’t around the area when these were taking place, but with the swanky lobby – we’re pretty certain it was great! 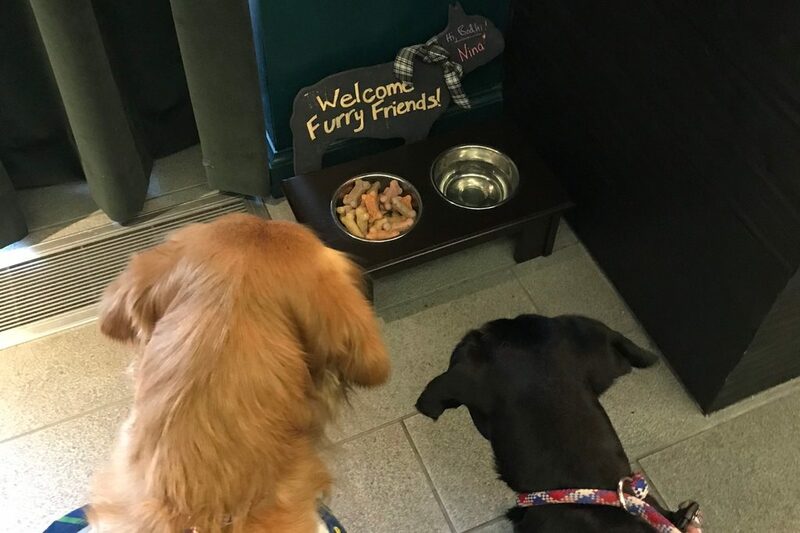 The staff was extremely friendly and helpful and often gave some love to our dogs when they entered. Also the treat station at the front was a nice touch! If we didn’t pull Bessie and Belle away, it would’ve been empty in two seconds. 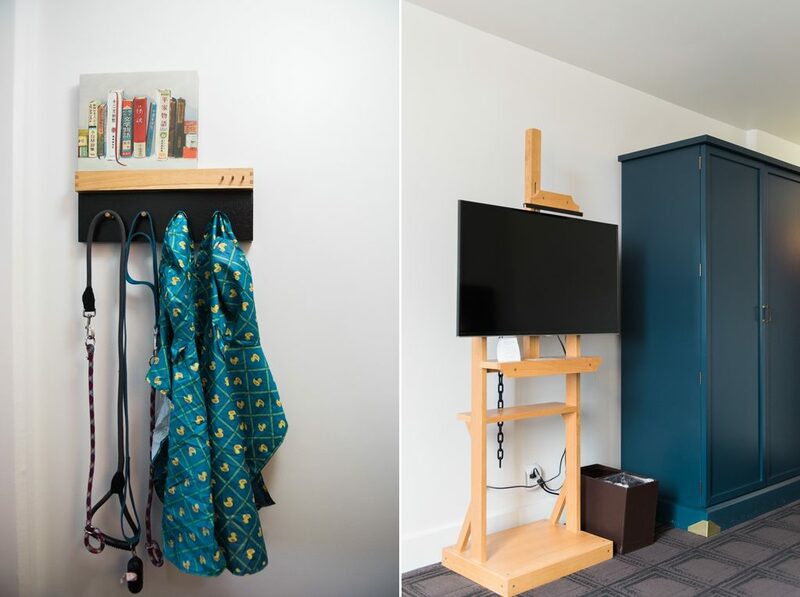 A self-parking garage is available on the premises for $38/night. However, the lot is small. We had no issues parking, but if we stayed during a busy weekend we definitely see us parking elsewhere. 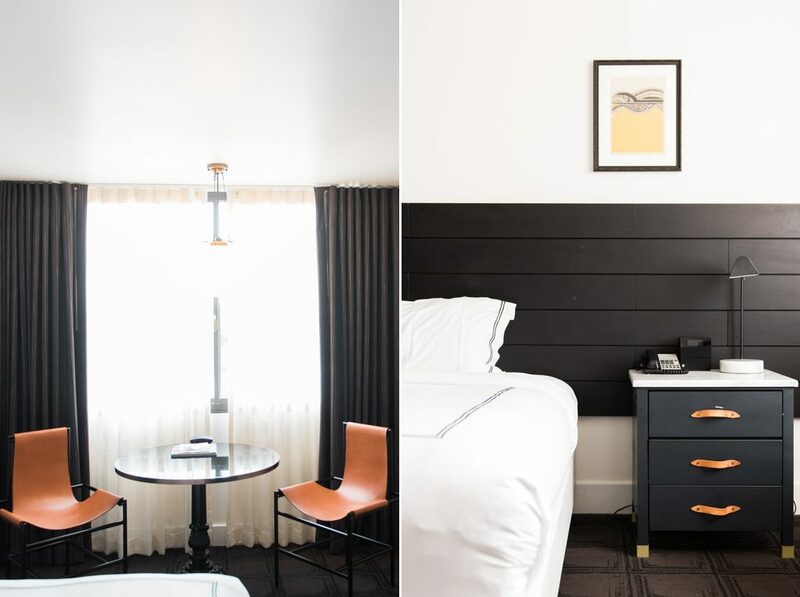 Overall, we loved staying at the Kimpton Buchanan and look forward to visits to this hotel and other Kimpton Hotels in the future. Thank you for making Belle’s first vacation so memorable and comfortable! 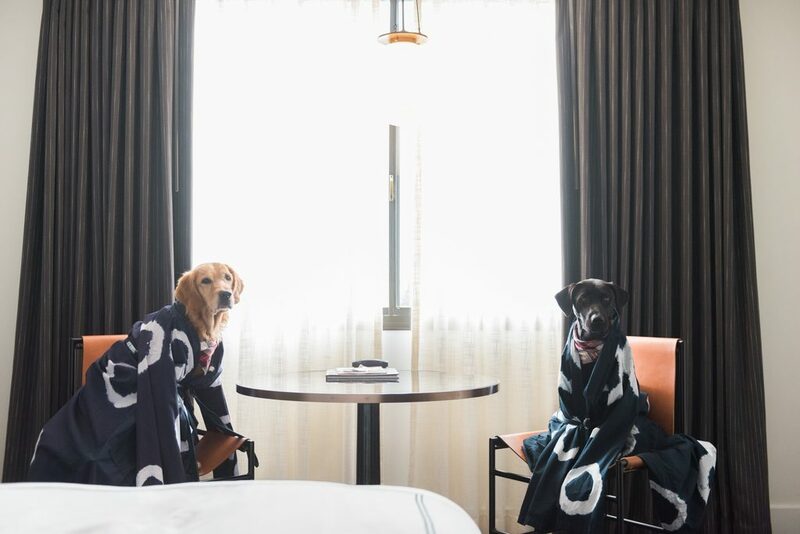 We love Kimpton Hotels! Can you imagine if you brought a mini horse! Now that would be wild! We thought about a mini-horse! 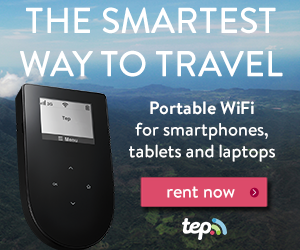 We’d love to see that!